Helen is a Cambridge graduate who swapped a career in the city of London for working in early childhood and primary education when her children were born. She has been writing ever since. Helen grew up in the UK but came to Australia for work in 1995, and now lives with her family on the beautiful mid-north coast of NSW. She loves walks on the beach with the dogs, laughing with friends and amusing her family with her rhymes and stories. Helen takes her inspiration from the countryside and the beaches around her. Her stories are strongly influenced by the people and animals in her life, and her quiet humour shines through in much of her writing. 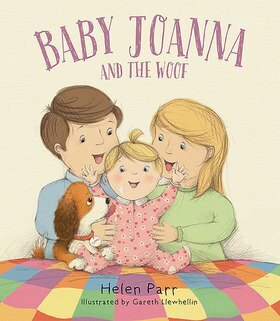 Baby Joanna and the Woof is written for two special children, Isla and Jude, who will not have the privilege of growing old, but are an inspiration as they find joy in almost everything they do.